Meet the SRM ROTOR power meter! Compatible with both 3D+ and 3D cranksets, the SRM ROTOR power meter brings SRM’s best in class accuracy and consistency to ROTOR cranksets. The SRM power meter features +/- 1.0% accuracy, gets 1,900 hours of battery life and is available in either a 110 mm or 130 mm BCD. Please note, the power meter does not include crank arms as it is intended to work with your existing ROTOR crank arms. 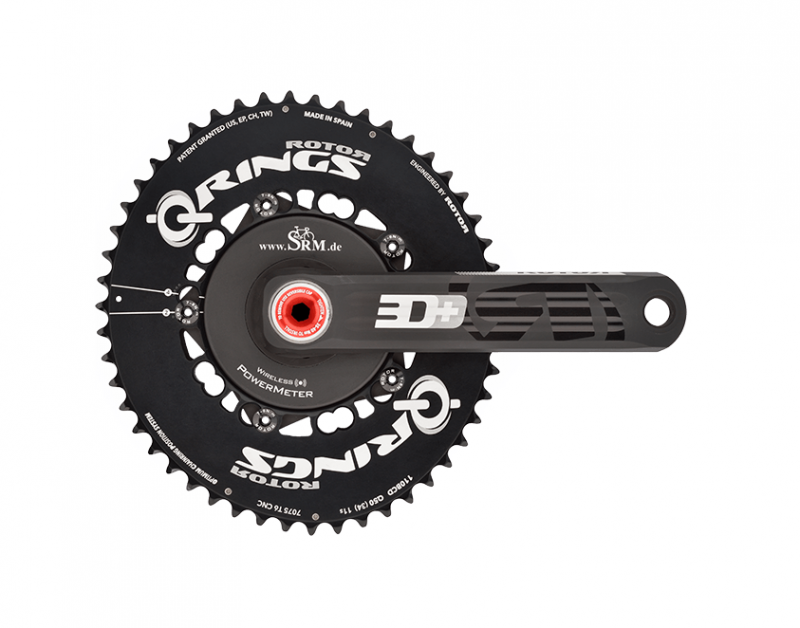 The power meter is compatible with both ROTOR 3D+ and ROTOR 3D cranksets. Great sales support and fast shipping from Power Meter City! Josh contacted SRM to ensure I was getting the right product and then followed through on every detail, including delivery and installation! The power meter came with excellent instructions and everything I needed to install at home! Nothing like SRM quality and precision too! Thanks! Bill, it was our pleasure helping you out. You’re going to love your new power meter, no doubt about it!